Spring is coming! 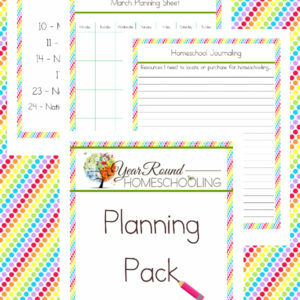 Putting together this month’s homeschooling planning pack was exciting as I saw the holidays on the calendar and began adding them to the planning pages! I can not wait for spring and all the outdoor fun homeschooling activities that we enjoy! Inside you’ll find fun holiday learning resources, weekly and monthly planning pages and homeschool journaling pages for you!